As of January 14, 2019, we are no longer able to update book prices on eReaderIQ Canada. The site will remain open for a few weeks, but will not be updated. We apologize for any inconvenience this may cause. The redoubtable Phryne Fisher is holidaying at Cave House, a Gothic mansion in the heart of Australia's Victorian mountain country. But the peaceful surroundings mask danger. Her host is receiving death threats, lethal traps are set without explanation, and the parlour maid is found strangled to death. 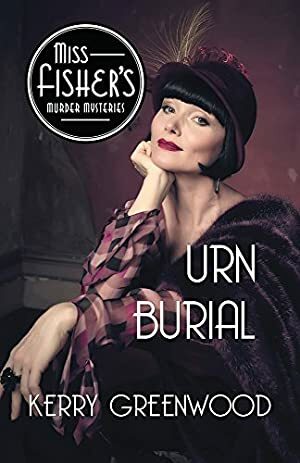 What with the reappearance of mysterious funerary urns, a pair of young lovers, an extremely eccentric swagman, an angry outcast heir, and the luscious Lin Chung, Phryne's attention has definitely been caught. Her search for answers takes her deep into the dungeons of the house and into the limestone Buchan caves. What will she find this time? None. The price of this book has not changed since we started tracking it. Log In to track Kerry Greenwood on eReaderIQ. to be notified each time the price drops on any book by Kerry Greenwood. to stop tracking Kerry Greenwood. We started tracking this book on June 9, 2018. The current price of this book is $9.99 last checked 4 months ago. This book is currently at its lowest price since we started tracking it. We last verified the price of this book about 4 months ago. At that time, the price was $9.99. This price is subject to change. The price displayed on the Amazon.ca website at the time of purchase is the price you will pay for this book. Please confirm the price before making any purchases. Prices & availability are accurate for customers who live in Canada as of the date and time indicated on each item, and are subject to change. Prices and availability may differ for countries or regions outside of Canada. The price displayed on the Amazon.ca website at the time of purchase is always the price you will pay.